From the inside looking out, it can be amusing at the misconceptions people develop about Eve due to their lack of familiarity with the game. It isn't their fault. Eve has a terrible habit of going against the grain. It is hard to display your uniqueness on the outside. You can display it on the inside, but you often need to die so that everyone can see the specialness of your ships fit. 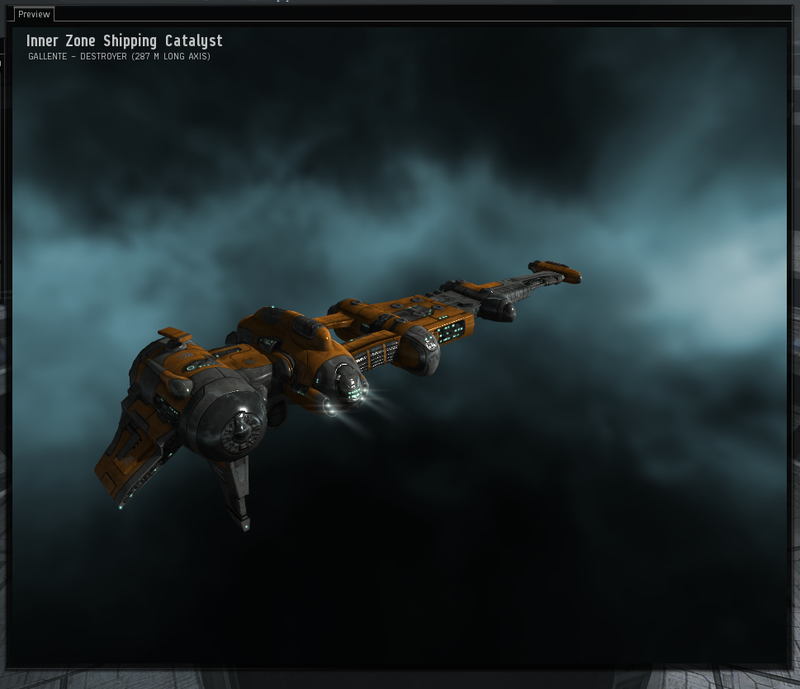 There are special ships in Eve. Some are obvious, such as special edition items. Others are not. Fried found a large rigged Drake on contracts and decided to get it. Back when rigs were introduced they were all the same size. At some point, CCP split them up into small, medium and large. However, they did not change any of the rigs already on ships in the game. This left people with ships that can no longer fit large size rigs with large size rigs. Rigs are destroyed when removed. Ships are destroyed when they are destroyed. Each of the large rigged ships is a little bit of the past. Fried decided to go PvP in his instead of shove it into a station somewhere. He lost it in a fight. Its not something that will work for everyone, but it works for him. Many newer players will not even notice things like the 'large rigged' ships. Often, seeing an over priced ship on the market they may ask and someone may enlighten them. For the bitter vets, its like a piece of childhood candy I assume. One thing that appealed to me when I first looked to starting Eve was the concept of collecting rare spaceships. I'm a hoarder in video games. My house in Skyrim looked like it could have been on an episode of Hoarders. Ship collecting seemed like it would be challenging and interesting and fun. The ships would be rare due to the nature of Eve's destroying things pertinently. Plus, spaceships! I also wanted to be a super, dupper spaceship person so I would be able to afford it all. I soon found that it was a dream rich for my blood and income. The collectible ships are understood. The Alliance Tournament brings in a limited number of special ships. 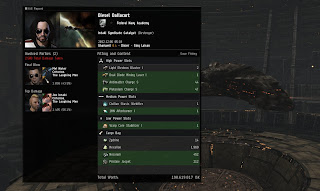 Special Events such as Fanfest and promotions bring in special ships. 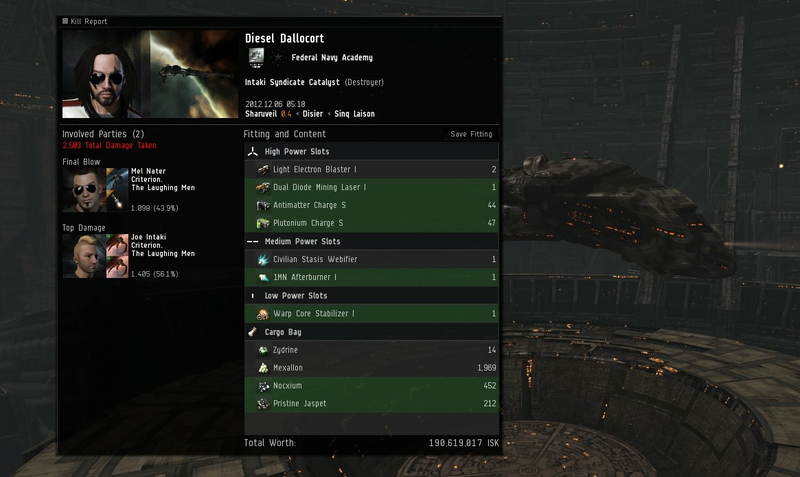 Sometimes CCP has made them for releases and handed one out to everyone in the game. Every time those ships become fair and fun game. People will kill for nothing more then the somewhat unique kill mail. Of course, people will also take unique ships if they have a chance. Such is the story of this freighter pilot who made a rather poor decision when it came to his cargo for the day. The ship that he was carrying is one of the limited alliance tournament ships. Not only did he lose it but it was not destroyed with the ship and now has a new owner. Limited Edition ships are often given out as a lure to get people into the game. I wonder how many people know that in Eve, you can lose those special things. Most people redeem them at a trade hub or their high sec home system for maximum safety. Often times people fly them. Many of these ships are given out to new players as parts of promotions. This means that the new players then fly the special ship they were given. If they do or do not understand Eve's loss mechanics is another question. Special edition Iteron's have been very popular of late. They are just reskinned Iteron IV's with, I belive fewer fitting skills. As an actual in game item they are not game breaking or world shattering. Unique is very desirable in a game like Eve where we have very little ability to personalize our possessions. I like special ships as much as the next person that likes special ships. I decided to sign up for raptr's game tracking application since they were giving away a free Inner Zone Catalyst. Its orange. I traded my soul for it. The app sucked. It never logged my Eve time properly. It spews popups and spam e-mails. I had this big random toolbar. I've deleted and unsubscribed to it. The offer did get me to try it, but it was terrible. Good thing they missed the fact that I no longer own my own soul since I sold it to google and amazon on split deals a while back. There is this Quafe Iteron loss from someone I once knew. It highlights the other side of special ships. Vanity kill mails. For some the joy is in the destruction and not the possession. Each time new ships come out people try to kill them as quickly as they can. Many of these ships are not powerful at all and ganking them is quite easy. The Primae is a nice example. It was created upon the introduction of Planetary Interaction(PI) and kind of moves planet stuff (badly). Its a different flavor of hideous Noctis hull. Its absolutely useless for the most part. If it had been agile it might have had some use for low sec PI but.. yeah... next. There have been anniversary shuttles, and the Zephyr was released with wormholes. And just all sorts of random chunks of individuality sprinkled through the game. And they are all docked. Most of these shiny things are observed by their owners and no one else. The powerful, 'elite' ships come in at the alliance tournament. The winners receive a series of blue print copies and can make, keep, sell, hoard the ships. The 10th Alliance Tournament as well as the New Eden Open Tournament both saw some use of these ships. Personally, I can see both sides. The side of keep it cuz its special along with the use it cuz its special. I haven't read much speculation yet about Fanfest and if they will release a special ship with it again this year. I suspect it should be some type of shiny celebration due to Eve turning 10 years old. What did they give out at that fanfest?